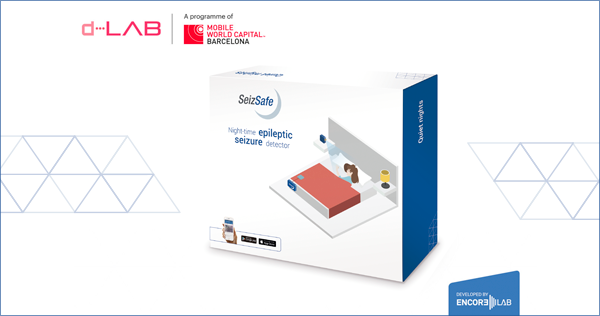 SeizSafe is a system that monitors the sleep of people who suffer epileptic seizures so that their caregivers can take care of them also at night, improving the safety of those affected and the quality of life of both. 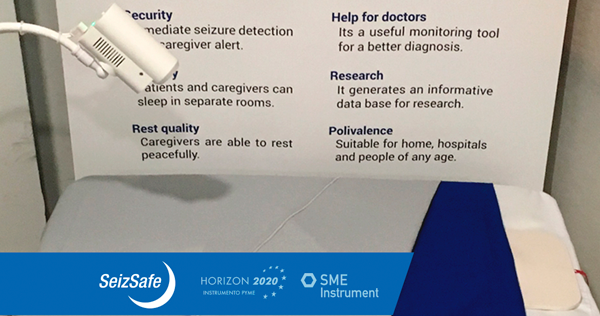 SeizSafe system consists of a device which is installed in the bed of the affected person and monitors its movements, a camera that records the seizures and an app that warns caregivers and allows the access to the historical record. 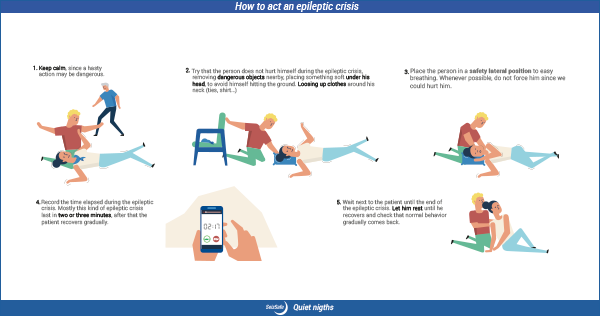 Epileptic seizures involve certain risks that can be mitigated with appropriate assistance to the affected people at the moment they are produced. 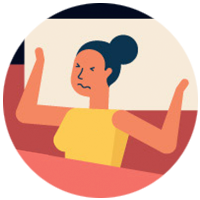 During the day, people who suffer epileptic seizures are usually well attended, but during the night it is difficult to watch over and assist them. 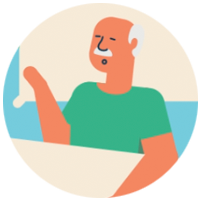 SeizSafe improves the quality of life of both affected people and their caregivers, providing greater security, better rest, and more independence and privacy. In addition, SeizSafe collects all data and video of the attacks and stores them in a cloud platform for analysis. 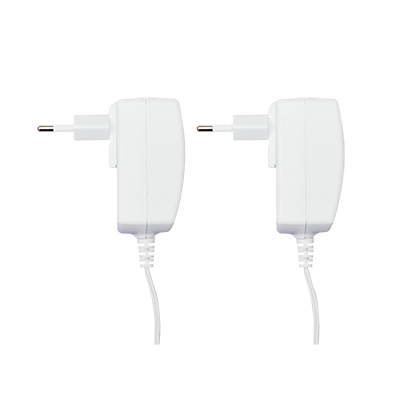 It reduces the risks that generalized seizures involved through its immediate detection and warning to caregivers. 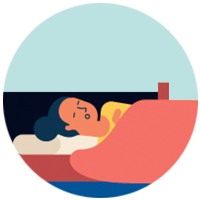 Affected people and their caregivers can sleep in separate bedrooms, keeping their personal space. Caregivers can rest more peacefully by not having to be aware of the affected person throughout the night. 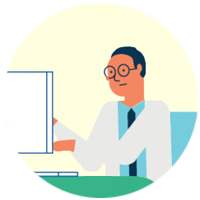 Provides doctors a patient monitoring tool for diagnosis and more tailored treatments. Users decide whether they want to contribute to create a base of anonymous information for research. 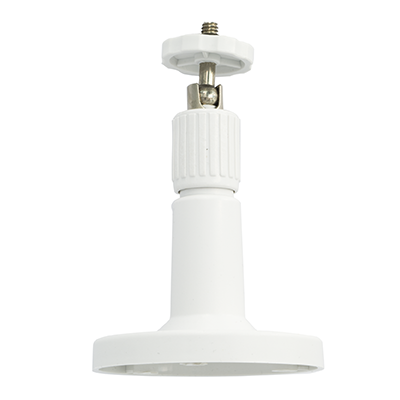 SeizSafe is valid for people of any age, as well as for domestic and clinical environments. 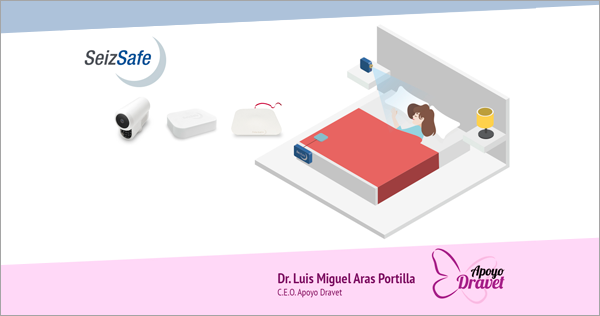 The motion sensor is placed on the mattress, under the sheets in a zone where it does not bother, and it is connected to the detection unit. The detection unit monitors all the movements of the affected person and identifies epileptic seizures to warn the caregiver as soon as possible. 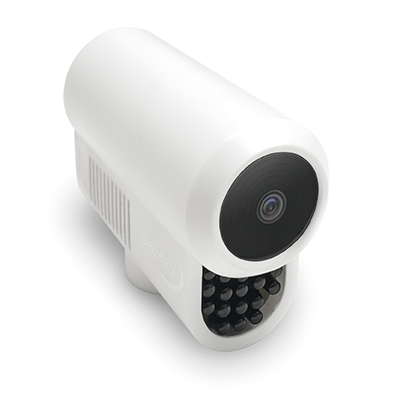 The camera includes a support that can be placed on different surfaces to be able to capture in the plane the most part of the bed. The mobile app allows to receive alerts when a seizure occurs, to configure the system and to access all the registered information. The company behind the development of SeizSafe is Encore Lab, a corporation devoted to the development of electronic devices, embedded systems and IoT applications. 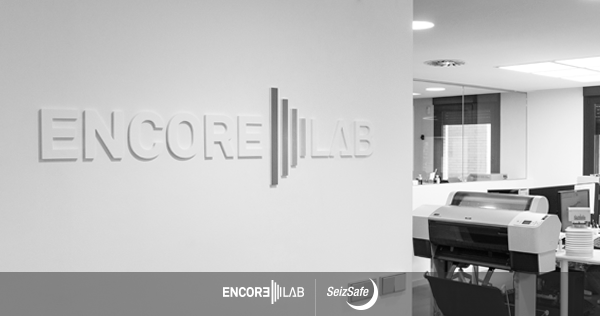 Encore Lab pursues innovation in each of its projects, developing cutting-edge products that introduce the technology in everyday environments, giving solution to problems that arise from common situations and which are assumed as inevitable even if they are not. Would you like to collaborate with the SeizSafe project? We are looking for volunteers to test SeizSafe at home. 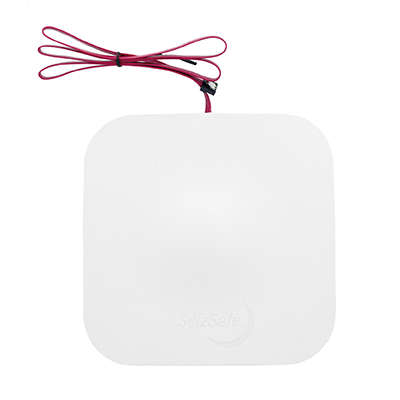 You can contribute to make SeizSafe an even better product, your opinion is very important! Reserve your SeizSafe and save! 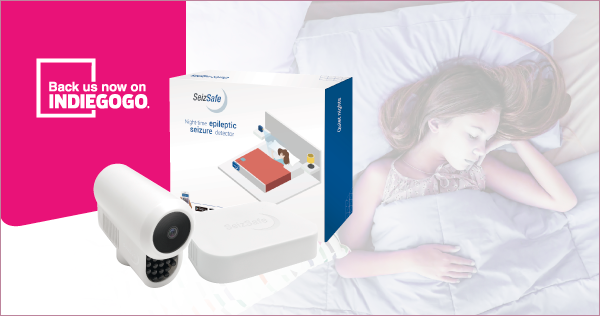 If you book your SeizSafe now you can take advantage of an exclusive discount for pre-order units. Estimated release date: July 2019. 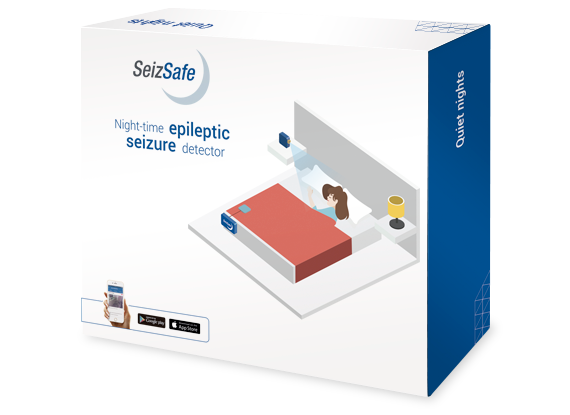 Seizsafe is a device to monitor patients during night-time and alert their caregivers when a seizure is detected. 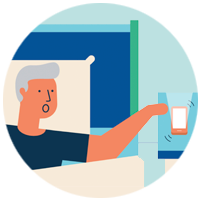 This way, patients will be assisted on time, minimizing seizures’ risks, and caregivers will be able to rest peacefully knowing that the system will wake them up when a seizure starts. We have just launched an Indiegogo campaign to raise the enough money to manufacture first batches and also to get visibility. We need your support to make Seizsafe possible, any help will be welcome. Back us now on Indiegogo! 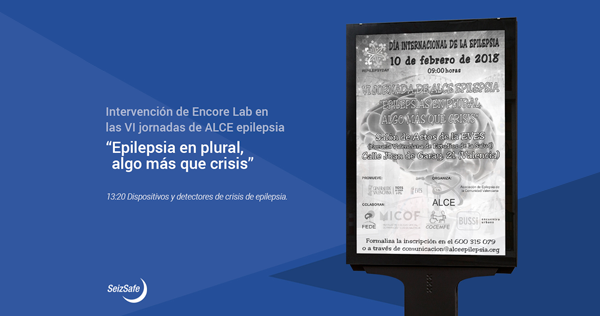 Encore Lab will attend to the VI ALCE epilepsy conference in Valencia on 10 February in the auditorium of the EVES (Valencian School of Health Studies). At 13:20h. we will talk about devices and detectors of epileptic seizures. This morning, Emilio Jimenez (Catedrático de Automática de la Universidad de la Rioja) and Prof. Dr. Martin Bogdan (Head of department of Computer Engineering, Leipzig University, and CEO PARAGON Systemhaus GmbH Cologne) were visiting the Encore-Lab Company to know more about Encore-Lab products: Cesens® and SeizSafe, and study an consider a future commercial relationship. – (Encore Lab) What is exactly the Dravet syndrome? – (Dr. Aras) The Dravet syndrome is a neurological disease within the group of refractory epilepsies. It is an epileptic syndrome that it is not sufficiently addressed with the existing medicines and produces seizures, cognitive impairment, mental retardation and other quite severe problems, as behavioural disorders and, unfortunately has one of the highest SUDEP ratios among all the epilepsy syndromes. There are not many cases, that is why is considered a rare disease. – When and how can this disease appear? – Generally, the Dravet syndrome is not hereditary, it is produced due to mutations appearing in the formation of the sperm cell or vaginal ovule before fecundation; up to 90% of affected people are the first generation having this mutation in a determined gen and so, they will be the first having symptoms. Some of them, in certain conditions can inherit this mutation and, although they might not have the Dravet syndrome, they could have other disturbances as febrile convulsions or other types of disorders, however, the usual situation is the parents being healthy and the mutation taking place again in children. From here, if an affected person may have a child with Dravet syndrome it would be an autosomal dominant disease and they will inheritable. – When is the cure for Dravet syndrome expected? – In science, everything depends on three factors: time, luck and money; time can be bought with money and luck too. The genetic therapy and the new advanced therapies arising could be solutions or part of a solution, but everything depends on money, support, the attention we may attract to that disease. – As it is considered a rare disease, how much support does it receive from the government and big pharmaceutical companies? – Rare diseases are unknown for the society in a general basis, and even unknown to those treating the disease such as doctors or professors and obviously, they are far from the social impact needed to get an institutional grant. In the case of Dravet, despite being a rare disease, it is a bit more known due to two situations that took place while studying the disease and developing medicines: it was the first epileptic syndrome linked to a gen, so it was the proof that epileptic syndromes and epilepsy could be genetic and, in the second place, not long ago, the acknowledgement of a marihuana derivative that was effective over the Dravet syndrome, a fact that caused a mediatic impact, but it is still a very unknown disease. In fact, as I told you before, imagine how important this unawareness of this disease is, that probably more than 70% of the cases in Spain are not diagnosed yet. – What could the public administration do to help you? – I think the role of the patients, in general, has changed, it happened in the USA first and now we have the example also in Spain. 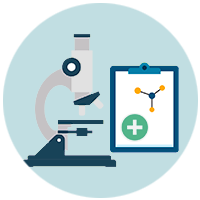 Patients do not only provide data or take care of the affected people, they are able to promote social enterprises or to promote entities, research centres or even organisms to promote research and technology as Apoyo Dravet. This models are not parallel to the administration activity and normally go faster. We, as Apoyo Dravet, although we do promotion of the investigation and investments done in research, cannot be eligible for grants from the administration for companies or promotion entities as we are still considered a social organization for patients despite doing a professional work, having people hired, developing technological transfer strategies, sharing knowledge and investing and promoting start-ups to foster entrepreneurship. For all this grants, in a general basis, they do not consider Apoyo Dravet a company or entity. The best thing the administration could do would be to align with the new models of patients arising. – Why was Apoyo Dravet created? – Apoyo Dravet is an association created in a very specific hospital environment in San Sebastián, among a group of doctors, nurses and other health professionals who were close to the family of a patient, that is the reason why an intensive mode was created to focus on supporting scientific and technologic projects that allow a modification of the disease in the shortest possible period and, on the other side, to promote those projects that may improve the life quality of the patients until a cure is developed. – What kind of personnel does the association have? – We have two kinds of collaboration models: volunteers that spend their time in events and certain promotion activities and volunteers with professional abilities who do for the association the same they do in their job: people working on marketing, media, research or doctors. When we observe that there are not enough volunteers of this kind, we hire these personnel. Last year we had three people, we currently have two. Apart from directors (hired or volunteering), hiring depend on the projects to be coordinated and managed. 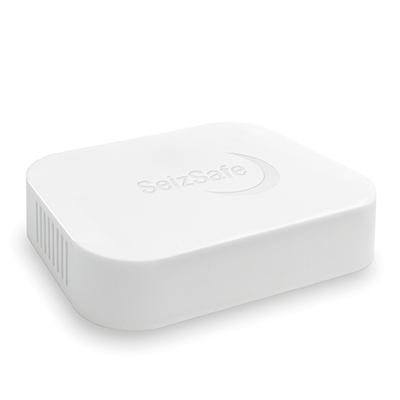 – What opinion do you have about seizure detectors as Seizsafe? – We need devices for detection and alert. Take into account that mortality among patients suffering epileptic syndromes is high and even higher in some such as Dravet and generally in many of them appears as SUDEP, that we already know is produced by cardiac-respiratory alterations behind an undetected tonic-clonic crisis, especially if it is during night-time, that’s why detecting is indispensable, first for providing medicines when these seizures do not stop and secondly, to identify those crisis that could cause, at worst, the dead of the patient. Given this, every device is not only necessary but a social obligation to diminish the problem created by this disease. Depending on the epileptic facts you are working on, more complex devices are needed because some seizures do note provoke movement and are more difficult to detect, that’s why we need new knowledges, both technologic and scientific, to try to detect, but every device and every action done, as there are not so many solutions in the market, are necessary. What we currently have does not fit the patients’ needs. 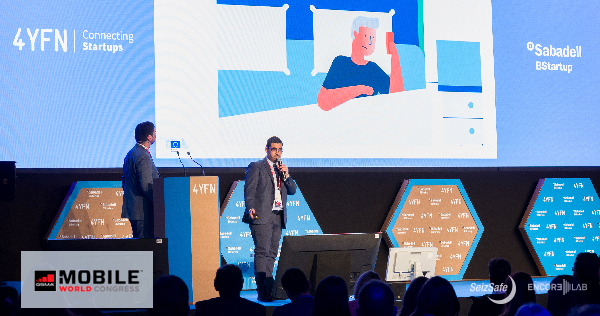 From Apoyo Dravet, we work, collaborate and align with every project arising in the field of seizure detection to make their developers know the real needs of the patients and to help them develop or improve the product, and help them to reach the market. Last Thursday (23th November 2017) the Project Officer from the European Commission visited us: Elitsa Beyska. 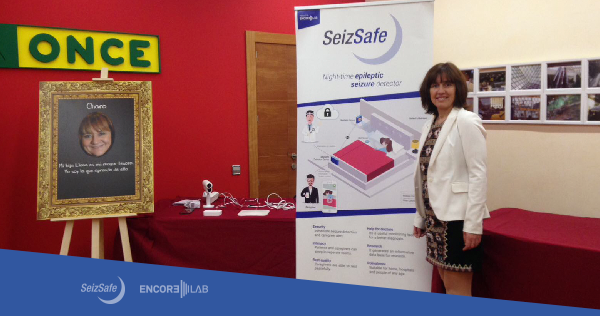 The reason for this visit was to know more about the European Project: SeizSafe. This project has been funded within the “SME Instrument” from European Commission Horizon2020. 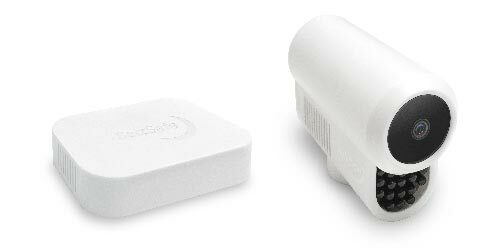 It consists of a patient-self-adaptive system for detection, recording and alert to caregivers of night-time seizures, linked to private cloud platform for patient tracking and big data exploitation. 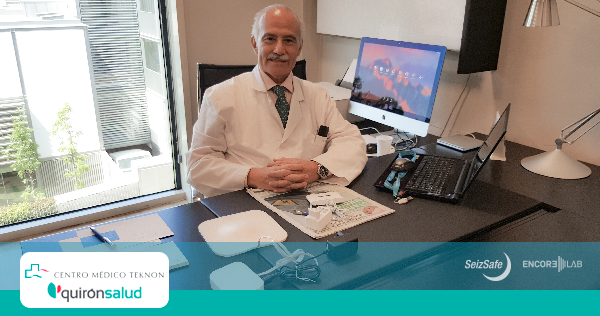 Encore-Lab had the pleasure to receive Doctor Luis Miguel Aras Portilla, the Apoyo Dravet Foundation CEO. Together, we have defined the methodology to follow in the validation process of our first devices. Several weeks ago, we published on this blog our selection as a finalist in the program d-lab. Link to the article. 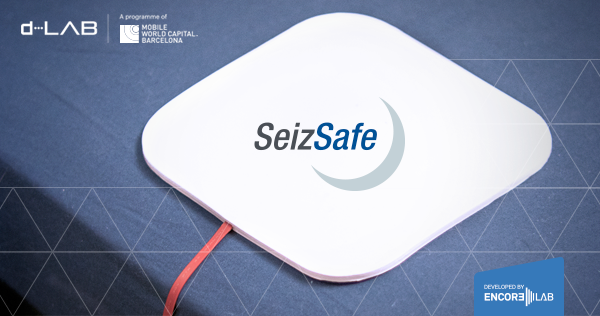 The night-time epileptic seizure detector, Seizsafe, developed by Encore Lab has reached the final of the program form the foundation Mobile World Capital Barcelona. The winner will be announced in a special event on September 19th at 9:30 in the Mobile World Centre in Barcelona. We are looking forward to hearing the results. d-LAB is a program of the “Mobile World Capital Barcelona” aimed to social challenges on a large scale. Each year the program launches 3 challenges to which more than 70 initiatives are presented. The awarded projects will be piloted by public-private partnerships with resources to execute them and apply them in real life. Whether you want to collaborate in the validation of SeizSafe, or if you are interested in booking a unit, or if you simply want us to solve any doubt about SeizSafe.